Since the beginning, we use Bitpay for accepting of crypto currencies. 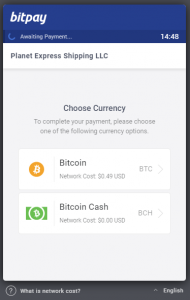 For many years, Bitpay was able to accept only Bitcoin but a few days ago, they have started accepting of Bitcoin Cash. Thanks to it you can now use this crypto currency for Planet Express deposit order. 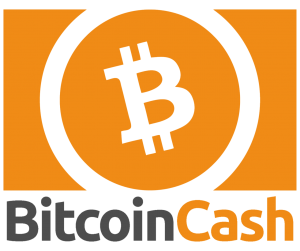 The main advantage of bitcoin cash is that network fees are much lower (zero) than fees for Bitcoin transactions. Also don’t forget that with Shop For Me you can use your Bitcoin to purchase any product from any shop! To make a crypto deposit, please contact us to get payment instructions.